And wanders in the green. And walks a path unseen. And guards the maiden’s dream. Or so it all would seem. 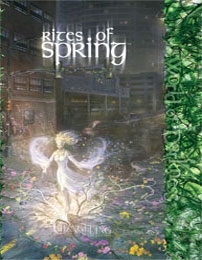 Rites of Spring is a supplement for the World of Darkness game Changeling: The Lost.